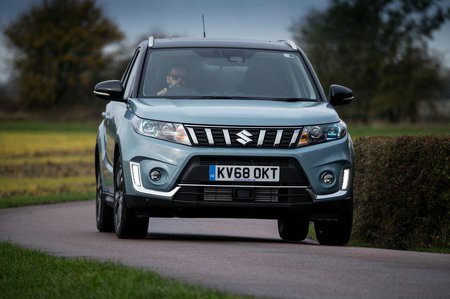 Suzuki Vitara Boot Space, Size, Seats | What Car? 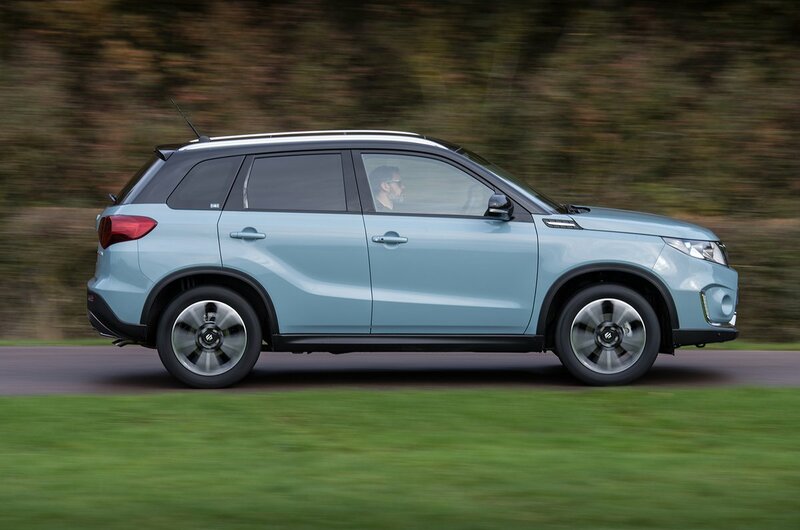 There’s enough room in the front of the Vitara, even for taller drivers. That said, if you’re very lanky, check that the head room-robbing panoramic glass roof fitted to top-spec SZ5 models doesn’t cause your quiff to brush the rooflining. Meanwhile, deep footwells help create plenty of legroom. But while the USB port and 12V sockets are handily located behind the gearstick, the accompanying cubbies are too small for many of the latest smartphones, while the two cupholders are positioned annoyingly far back behind the central armrest. Even with taller people in the front, there’s plenty of leg room and a decent amount of head room in the two outer rear seats – as long as you avoid the space-zapping panoramic glass roof that's standard on SZ5. An adult will fit in the middle rear seat but will find shoulder room tight. And because the seat is slightly raised, the centre occupant might find their head brushing the rooflining. Those in the back of the Vitara have the benefit of outer armrests on the doors and three adjustable head restraints. There are also bottle holders in the doors and pockets on the backs of the front seats. It you want maximum rear space from your budget small SUV, try the Kia Soul. Or if you've considerably more cash the splash, the Mini Countryman is better for families. It’s pretty standard fare here, with rear seats that split and fold 60/40, granting you much more luggage space when you need it. Simply pulling the levers mounted on top of the rear seats is all that’s required to lower the backrests, and you don’t need to faff about removing the rear headrests beforehand, as you do in some cars. Because the backrests aren’t awkward to move or heavy, it’s no chore getting them back up again. However, the rear seats don't slide or recline like they do in some rivals, such as the Citroën C3 Aircross or, indeed, Suzuki's own Ignis. The Vitara has a decently sized boot by the standards of small SUVs. And it’s thoughtfully designed, too; there’s no load lip down to the boot floor, while the floor itself isn’t too high off the ground, making lifting heavier items into the boot that bit easier. There's a useful underfloor storage area that is also ideal for stowing valuables or loose items, plus two storage pockets (one on each side). 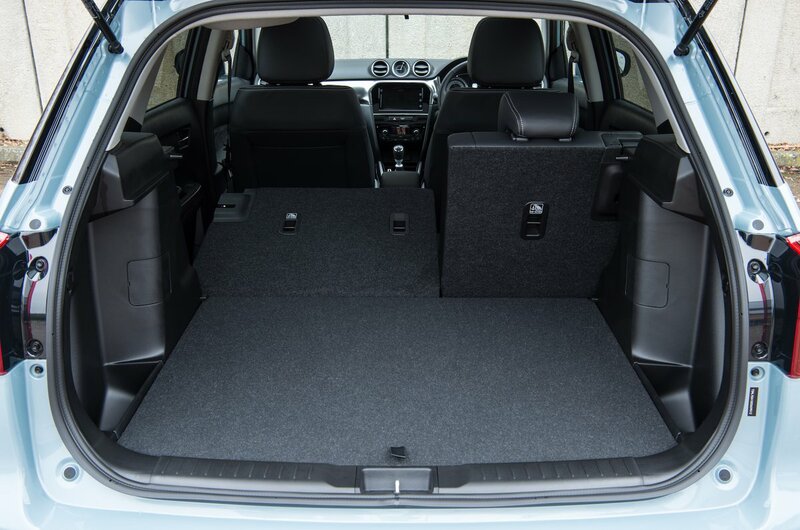 Drop the rear seats and space increases further; the seats don’t fold completely flat, but at least there’s no awkward step in the extended boot floor to make life difficult when loading in long, bulky items, as there is in some of the Vitara’s rivals. If you need more boot space, try the C3 Aircross or, for those with a higher budget, the Volkswagen T-Roc.